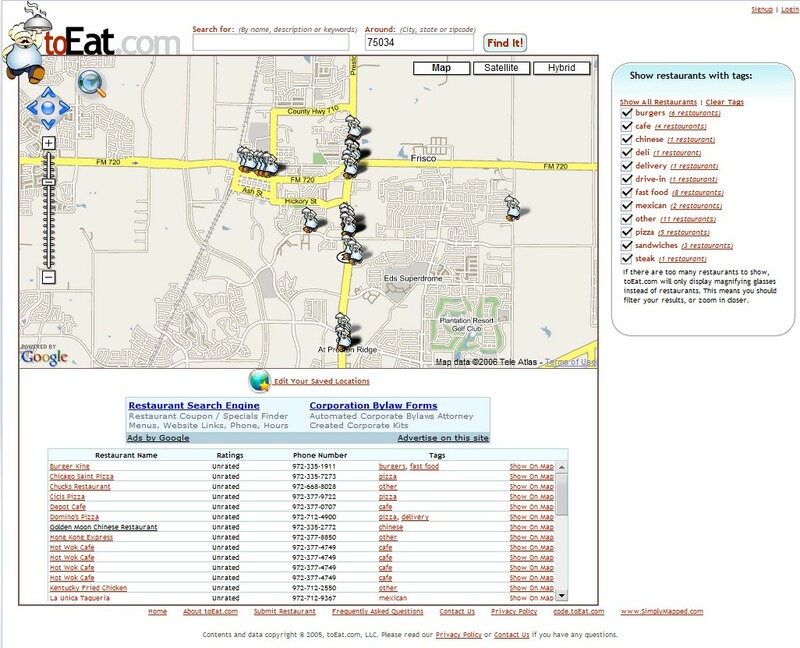 September 10, 2006 By John P.
If you’re new to an area, traveling, or just want to find some new places to eat, ToEat.com provides an interesting and different type of restaurant search engine. What makes this site different is that it combines a Google Maps mashup that overlays restaurant locations. In addition to being able to choose a specific area by city, state or zip code you can also select the type of food you’re in the mood for. So, if its Mexican you’re after, that’s all you’ll get. Iâ€™m Bob Lape with Dining Diary. roomy restaurant handsomely decorated in vibrant colors with ethnic wall hangings and Peruvian music. Thatâ€™s Dining Diary. Iâ€™m Bob Lape, WCBS 880.